Politics Archives - Page 2 of 12 - Africa M.E. Economic and finance ministries from West and East African have set the standard for 2017’s API. Ten countries from the region have mastered macroeconomic balance with growth rates above 5% that outpace their demographic growth. Burkina Faso topped the list with 53%, followed by Senegal with 52%, Tanzania with 48%, Ethiopia with 47%, Kenya with 46%, Rwanda with 45%, Niger and Guinea with 43%, Cote d’Ivoire with a 42% growth rate, and Togo with 41%. The API was extended in 2017 to include all African countries, instead of only those in the CFA zone, or the central and west regions, as was the case in previous editions. API 2017 also saw the inclusion of a new category for evaluation: the digital financial infrastructure worth 40% of a country’s mark, along with endogenous factors 30%, and institutional and fiscal frames, worth 30%. Although growth was substantial last year, financial website Financial Afrik warns that unless African countries can maintain growth of over 10% for over a decade there will not be any major development in the country. Topping the list of Africa’s best finance ministers is Burkina Faso’s Minister of Economy, Finance and Development Rosine Sori-Coulibaly. In office since January 2016, Sori-Coulibaly has been working to reduce the weight of current expenditure in the state budget, and has also allowed the public greater access to small business loans. She is joined by Senegal’s Amadou Ba, who brought about an increased cycle of growth garnered by the country since 2014. Third on the list is Philip Mpango, the appointed minister of finance in Tanzania since 2015. Mpango continues to create structural reforms in the country to finance free education and complete the nationalization of precious stones. Other ministers of note include Ethiopia’s Abraham Tekeste, who is in charge of the implementation of a five-year-plan in the country to display a GDP growth of 11% per year. Over this period, industrial growth is set at 24% per year. Minister of Finance in Kenya Henry K. Rotich is at the root of several in-depth reforms in the East African country. Advocating for diversification, Rotich faces the challenge of financing Kenya’s public external debt. Rwanda’s Minister of Finance and Economic Planning Claver Gatete has distinguished himself in the rationalization of current expenditures, the implementation of innovative policies and the facilitation of procedures for economic operators. Rounding out the top ten is Niger’s Hassoumi Masaoudou, who has been minister of finance since 2016 and has the challenge of financing the Economic and Social Development Plan for Niger from 2017 to 2021. In a tense security environment Financial Afrik reports the first year of the plan has been quite successful. 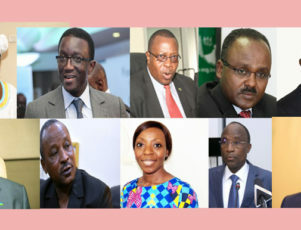 Guinea’s Malado Kaba has inherited several major infrastructure projects and is the first Guinean appointed minister of finance to obtain satisfactory results in regard to funding. Former head of the Ivorian Treasury, Cote d’Ivoire’s Adama Kone has reconciled the imperative of controlling the budget with the need for growth. The current cocoa crisis has not broken this balance and Ivorian fundamentals remain strong. Minister of Economy and Finance in Togo since 2015, Sani Yaya’s great challenge remains to restructure the country’s debt and to mobilize funds for development programs. In the two years as finance minister, Yaya’s results have awarded him respect. The API identifies four determinants that favor the construction of digital financial infrastructure in African countries. Innovation centers, the organization of public dialogues on financial and regulatory technologies, a national tool for digital verification of identity and the creation of a digital environment secure enough to experiment with the offer of innovative financial services. Both Kenya and Senegal scored highly in this area with both countries developing incubators of technological innovation, such as, spaces for co-creation between entrepreneurs and accelerators of enterprise. Also standing out in this area are Cote d’Ivoire, Senegal, Tanzania and Togo, thanks to the organization of public dialogues on the future of finance, financial regulation and inclusion. According to Financial Afrik, Africa is improving in terms of economic and political governance, however in terms of transparency and institutional communication efforts must be made. Ministries of Economy and Finance are responsible for strengthening competitiveness between domestic and foreign companies, but at the same time, they need to ensure consumers are protected. 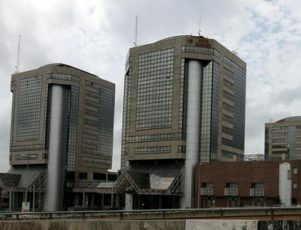 Foreign investment dropped in Nigeria with the fall of oil prices three years ago, but they have started to return thanks to reforms made recently by the Nigerian government. Earlier this year, Nigerian Vice President Oluyemi Osinbajo, acting for President Muhammadu Buhari during his medical leave, signed several executive orders aimed at improving business processes under the acting authority of the Presidential Enabling Business Environment Council (PEBEC). As part of a government bid to bring back foreign investment, changes to port procedures, business registration, and certificates for importing capital, have been declared. According to the Oxford Business Group, a key factor of the reforms was a move to tighten operations at Nigeria’s ports by reducing the number of agencies needed to clear cargo, creating single checkpoints for goods in transit, and banning non-official workers from the area. In the past 14 agencies were required to clear cargo at the port, but this has been reduced to seven. Now these seven agencies must act as a single task force, at a central location, and payments must be made through the Corporate Affairs Commission website (CAC). Only on-duty personnel will now be allowed in secure areas at ports and airports. The government hopes these reforms will quicken processes at entry points, and curb bribery and corruption. Another way in which the reforms hope to dissuade corruption in the country is by making processes more transparent. Business registration will now be automated through the CAC website, via an online payment transfer, and all state agencies are required to publish a list of fees and conditions for business registration and license applications online. These agencies must also publish a set time-line for applicants, and if a response is not given in time, the application will be approved by default. In the past, new applications had to be made by visiting the country. These changes to the system mean investors can now register their business without having to come to Nigeria, saving both time and money. According to Reuters, the central bank of Nigeria recently announced plans to issue electronic certificates for capital imported into the country, which will also save investors a lot of hassle. 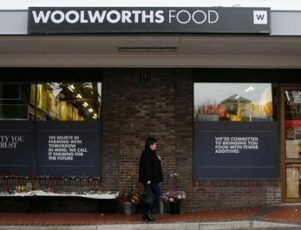 The electronic certificate will replace the hard copy issued previously, which investors or companies were required to get in just 24 hours, according to a 1995 law. The certificate is a declaration that the company has invested foreign currency in Nigeria and is necessary for the company to repatriate returns on those investments. Investors have complained in the past, that they have struggled to meet the one-day deadline. With a population of 180 million, Nigeria is still an attractive place for investment, however implementation and operating costs are high, and security within the county remains an issue. The country ranked 169th out of 190, in the 2017 World Bank ‘Doing Business’ survey, an improvement of one place from 2016, but a drop of 50 places in the last eight years. For starting a business, the country ranked 138th, for getting a construction permit, 174th, and for registering property, 182nd. The World Bank listed eight areas for improvement: starting a business, construction permits, getting electricity, getting credit, registering property, trading across borders, paying taxes, and the entry and exit of people across borders. 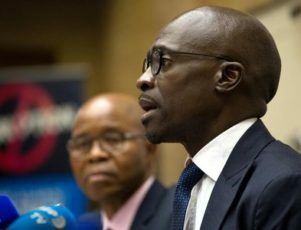 The International Monetary Fund (IMF) which said much more needed to be done to raise Africa’s biggest economy out of recession in March, has praised the new reforms. According to the Oxford Business Group, the IMF lauded Nigeria’s commitment to improving business transactions and investment inflows, and noted that the central bank’s foreign exchange trading window was a boon for investors. Investors needing to settle trade-related requirements in US dollars could now do so by phone, and at rates set by the buyers and sellers themselves, rather than by the bank or the market. The IMF said the moves would curb the market premium and push foreign reserve levels above the $30 billion mark. As dollars have been in short supply in Nigeria since the oil price drop, the country has had to look at new ways to attract foreign investment. 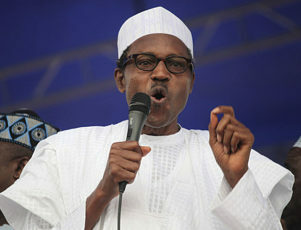 When Muhammadu Buhari was elected as Nigerian President in March 2015; it was the culmination of a long and controversial involvement in Nigerian politics. While many have criticized his record on human rights, others have praised his seemingly incorruptible nature, and efforts to battle domestic terrorism. As recent health concerns have yet to be fully abated, the future of the President remains uncertain. Muhammadu Buhari was born on December 17th 1942, in Daura, Katsina State, to a large family in which he was the 23rd child. By the age of 19, Buhari had joined the military, and within one year he had been sent to the UK for officer training. Buhari returned to Nigeria in 1963 and from here, until his election in 2015, he was rarely away from the political struggles within the country. After serving the government in the Nigerian Civil War, Buhari was involved in the 1966 Counter Coup, before supporting the 1975 Coup that briefly led to him taking on nonmilitary roles within the new government. But it is the 1983 Coup, that he led, which threw him into the limelight. Buhari took power from January 1984 until August 1985, in which time he led a fierce stamp down on political corruption, indiscipline and rising crime. While the measures were seen by many as necessary for economic reform, widespread human rights abuses were reported, and press freedom was severely curtailed. Buhari’s brief stint in power came to an end in 1985, when he was overthrown and put into detention for 3 years. However, his ambitions as a leader saw him return to politics with a failed Presidential bid in 2003, followed by two more attempts at gaining democratic election in 2007 and 2011. Buhari finally succeeded in becoming the democratically elected President in March 2015, when Nigeria elected him to replace incumbent leader, Goodluck Jonathon. Buhari’s commitment to breaking the cycle of corruption within Nigerian politics was almost immediately displayed when he had former national security advisor, Sambo Dasuki, arrested for embezzling $2 billion worth of funds that were assigned for the battle with Boko Haram. Several other senior government figures have also found themselves in jail, as Buhari looks to cut out the rot that he feels has hampered Nigerian progress for too long. However, this has echoes of similar moves that he made in his brief run of power in the 1980’s, and the world’s leaders are unlikely to be supportive of the other measures that Buhari employed at the time, including executions for drug users, and public floggings for people who did not line up at bus stops in an orderly fashion. Thus far, none of the obvious abuses of the past have manifested themselves under Buhari’s new leadership, and there has been marked improvement in the security in Nigeria’s north-eastern region, which has borne the brunt of much of the nation’s Islamic extremism. However, a recession hit Nigeria soon after Buhari’s electoral triumph, and Islamist forces pushed out of the north-east have begun to increase attacks within the nation’s oil rich, Niger Delta region. Buhari has also faced criticism over his recognition of women in government, as his cabinet is only 16% female, compared with the previous regime’s 31%. Most recently, there have been major concerns over Buhari’s health, and whether he would be capable of continuing in power. In January of this year, Buhari traveled to the UK for treatment on an unspecified condition, and remained there for 7 weeks, before returning to Nigeria in March. Buhari then returned to London for more treatment on May 7th, and thus far has not gone back to his nation. 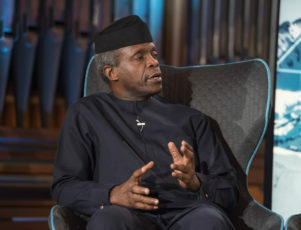 Although his wife has assured concerned Nigerians that he is recovering well, there is a growing demand in Nigeria for him to be declared unfit, and while vice president, Yemi Osinbajo, has been in control during Buhari’s absence, there are several other potential leaders looking for their chance to take the top post. Buhari is a man who has fought in wars, coups and survived an assassination attempt in 2014; so regardless of ones opinion on his policies, it cannot be said that he is easily broken. 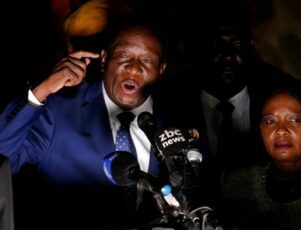 The future of his leadership looks uncertain, but if he is physically capable, then we can be assured he is likely to do his utmost to retain his position. Amidst a global re-shuffling of political office and norms, Saudi Arabia has appointed a new Minister of Finance. Mohammed Al-Jadaan has replaced Ibrahim Al-Assaf, who worked within the ministry for the previous two decades before being appointed its top position. Al-Jadaan is seen as a breath of fresh air for the Saudi Arabian economy, bringing with him an outsider’s view, free from the restrainst associated with career politicians. While Al-Jadaan has vast experience with trade policies and restrictions from his time at Capital Markets Authority, this will be his first governmental ministry post. A royal decree announcing the appointment of Al-Jadaan was issued earlier this month by King Salman, the leader of Saudia Arabia. Al-Assaf has been appointed Minister of State and has been made a Member of the Cabinet, moving his expertise from finance to a broader scope of affairs. Al-Jadaan was integrated in the 2015 opening of the Saudi market to foreign investments and is expected to ease existing barriers in an effort to attract more overseas capital. 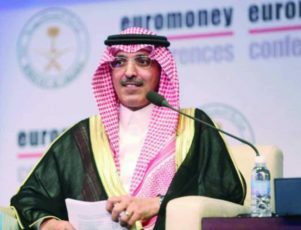 According to Jason Tuvey, Middle East economist at Capital Economics, Al-Jadaan “already has policymaking experience having overseen the opening up of the Saudi Tadawul to foreign investors over the past couple of years,” which is expected to positively influence his role as Minister of Finance. Al-Jadaan studied both Islamic law and Islamic economy at Imam Mohammed Ibn Saud Islamic University in Riyadh. Before his appointment as the chairman of Capital Markets Authority, Al-Jadaan was a founding partner of the Al-Jadaan and Partners Law Firm. He was listed in Chambers and Partners as a leading lawyer in corporate/commercial law and banking/finance practice for a decade and is expected to bring this wealth of real-world experience into the Ministry of Finance. King Salman has already been seen as a mover and a shaker, mixing up the tenured ministry heads with younger men from a variety of backgrounds. He has notably centralised power, and is making an effort to ensure those around him will remain loyal and share his vision for Saudia Arabia. Al-Jadaan is expected to assist the new King in his desire to diversify the Kingdom’s economy from largely hydrocarbon based to other industries such as financial services. His appointment coincides with first ever sovereign bond sale, an order reaching $67billion. Many are lauding this as a sign of the freer economy to come, but experts caution against overexuberance, pointing to the Kingdom’s recent history of austerity as a better indicator of what lies ahead. A diversified economy is, of course, the long term goal, but Al-Jadaan has inherited more immediately pressing matters, chiefly alleviating current market conditions. Saudi Arabia has been running a deficit due to the low price of oil. The International Monetary Fund (IMF) predicts that without a significant increase in the price of oil matched with level demand, the current budget deficit will continue to grow and will exhaust foreign exchange reserves as early as 2020. This would be disastrous for Saudi Arabia. The oil price crisis is the umbrella underwhich Al-Jadaan will operate. He will be a key player in on-going discussion with Iran as other OPEC members continue to lobby for a reduction in oil exports from the Kingdom. Iran and Saudi Arabia do not currently have private negotiations on this or any other topic, but if Al-Jadaan is able to reopen such talks, his aim will be to get as many concessions from Iran as possible. Al-Jadaan’s appointment is but one among many injections of new men into global governments. 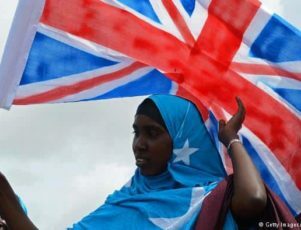 As the world shifts away from the previous decades of western democratic hegemony into uncharted territory, it will fall upon men like Al-Jadaan to find a new balance. Prominent Rwandan politician Claver Gatete was recently named African Finance Minister of the Year by Global Capital, a leading financial news and data provider. The award recognizes Gatete’s recent success in successfully keeping Rwanda’s economy on course amidst difficult regional economic conditions. However, despite his humility, it’s clear that Gatete has been instrumental to Rwanda’s continued fiscal success. Global Capital explained their decision to bestow him with the award saying that he has demonstrated “impressive commitment to prudent and proactive fiscal management.” He was also praised for his talent in crafting bilateral agreements with international institutions and neighboring countries, which have been key components of Rwanda’s resilience. Gatete was born in 1962, in Mbarara, Uganda. He spent the majority of his school years in Mbarara, due to his father’s line of work. Gatete proved himself to be an adept student with an aptitude for numbers. He attended University at the University of British Columbia in Vancouver, Canada, where he obtained both a bachelor’s and a master’s degree in Agricultural Economics, finishing his studies in 1993. Gatete stayed in Canada working as an economist until 1997. However, in the wake of Rwanda’s terrible genocide he felt the desire to return home and help in the efforts to rebuild his home country. He managed to obtain a post with the United Nations Development Program working as a Development Economist in Kigali. During his time working with the UN, Gatete became embedded in the political and financial landscape of Rwanda. No doubt this expertise is what set him for a string of senior government positions. In 2001, he was invited to join the Office of the President as the president’s personal representative to the New Partnership for Africa’s Development (NEPAD). He excelled in this position, and in 2003 he was promoted to the Ministry of Finance, where he served as Secretary General and Secretary to the Treasury. In 2005, he became Rwanda’s Ambassador to the U.K, Ireland, and Iceland. Returning to a domestic position, Gatete served as both Deputy Governor and Governor for The National Bank of Rwanda until his appointment as Minister of Finance and Economic planning in 2013. Gatete has also made great strides in improving efficiencies in Rwanda’s agricultural sector. He has implemented innovative new measures to educate, prepare and supply Rwanda’s farmers more effectively. Additionally, he has directed investment towards irrigation which has greatly increased food security and helped eliminate the risks from erratic rainfall. 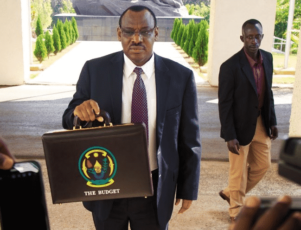 Commentators have attributed Rwanda’s strong growth projections to Gatete’s overall ability, and the confidence financial institutions have in his ability to deliver on his commitments. Gatete embodies the new ideal of African leadership; shrewdly intelligent, talented and progressive.